~***~ Our Joy Candle: is a sensory blend of Plumeria, Jasmine, Sandalwood. Use to discover true joy within one’s being. Use the joy candle to discover true joy within one’s being and to allow happiness and laughter to flow freely through your life into the lives of those around you. Measuring 1.5″ x 7 inches tall, they are long lasting with a burn time of 80-100 hours. Each candle comes with an affirmation and inspirational message to help you bring your wish to fruition! ~***~ Aura Myst Spray: One of our most popular, aromatic room and body sprays! Cleanse and renew your Auric energy by mysting yourself or surroundings. 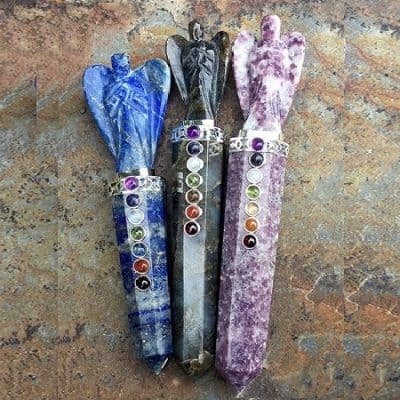 Evokes peace and emotional balance. This powerful myst contains rich reiki-charged spring water, lavender, rose, jasmine and patchouli oils and a blend of mood altering herbs! This aromatic myst comes in a 4 oz, blue glass bottle with super fine mystery. For best results, spray 6-10 inches above head and shoulders, avoiding the eyes. Also consider spritzing the entrance to any room as well as the 4 corners for cleansing and clearing! 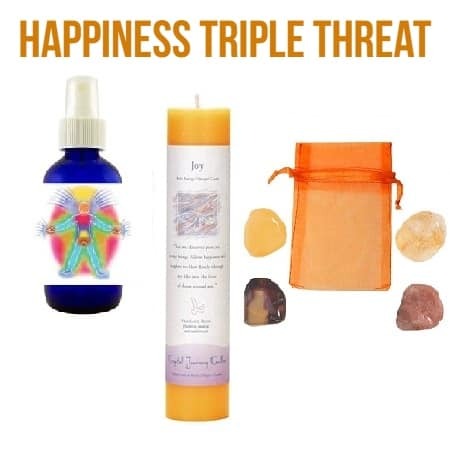 ~***~ Happiness Crystal Pouch: this joyful pouch offers the the love from red and the wisdom from yellow. It strengthens confidence and allows independence. Used to represent the element of fire. Orange is the best emotional stimulant, helping us in times of depression, loneliness, and boredom. 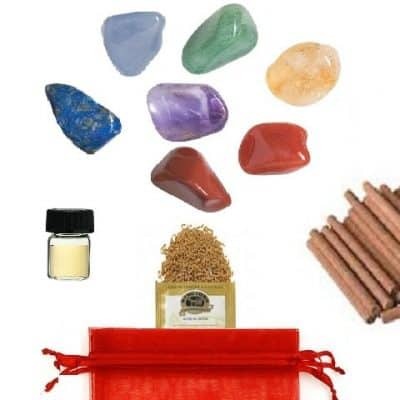 We use 4 choice, orange crystals for meditation, grids and healing. 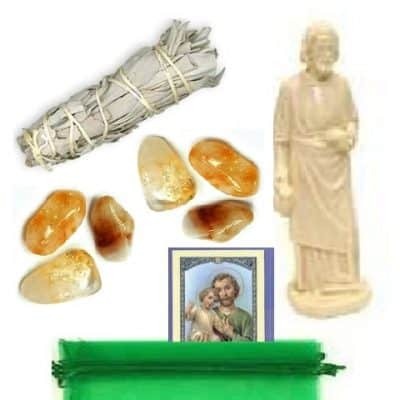 Including citrine, sunstone, mookaite and orange calcite, complete cleansing and healing instructions for use.